The presentation of the brand philosophy behind CETERA and its first 60 feet model during the recent BOOT DÜSSELDORF was one of the highlights of the show. The MULTISPACE yacht is based on a redistribution of the interior and exterior spaces through a process of VERTICAL REPOSITIONING. 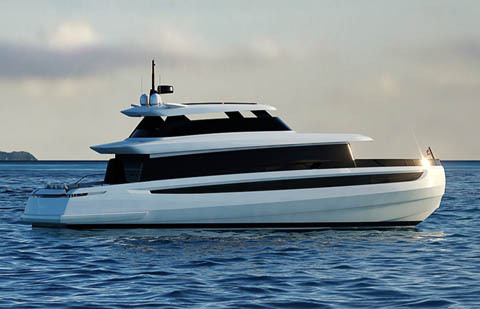 The result is a uniquely innovative YACHT CATEGORY with a revolutionary layout designed to enhance onboard liveability and deliver more available space while maintaining a high level of privacy. - Placing the cabins on the main deck means they are further away from the engines and generators and away from water lapping for more acoustic comfort. 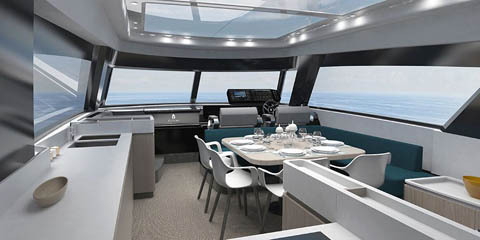 - Main deck offers higher position for better views and larger windows. - Head height is 2m throughout with panoramic windows. - Salon/dinette is placed forward for 180° sea views on three sides. 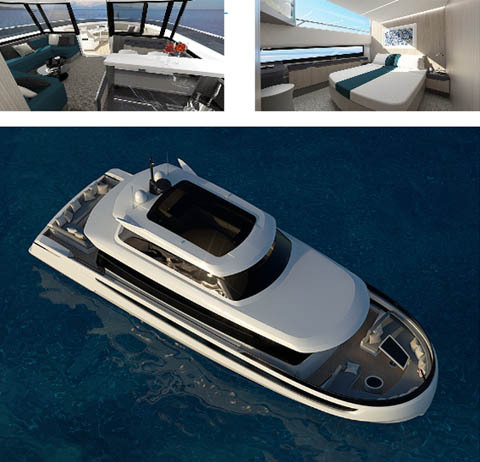 Powered by twin Volvo Penta IPS 600 units for outstanding manoeuvrability and power control, the CETERA 60 will have a top speed of 23 knots and a cruising speed of 20 knots. The first CETERA 60 will make her international debut in the spring/summer of 2019.